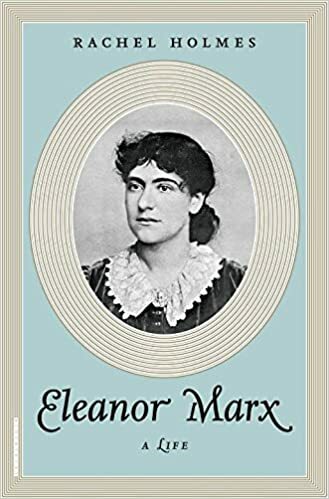 "Eleanor Marx: Feminist, Socialist and Daughter of Karl Marx"
Rachel Holmes, a cultural historian and biographer, will discuss her new book, Eleanor Marx: A Life, a biography of the feminist daughter of Karl Marx. Eleanor Marx was the first woman to lead the British dockworkers' union and the first to translate Madam Bovary into English, as well as serving as a tireless secretary for her father Karl Marx. Rachel Holmes is the author of two biographies: The Secret Life of Dr. James Barry and The Hottentot Venus. She co-edited the much-discussed Fifty Shades of Feminism. Her biography of Eleanor Marx was featured as Book of the Week on BBC Radio 4 in May. Kamila Shamsie is the author of six novels, including A God in Every Stone, which she discussed at the May Salon, and Burnt Shadows, shortlisted for the Orange Prize.